Santiago Calatrava has built more than thirty bridges, and has designed transportation hubs in major cities around the world—including one at New York’s former World Trade Center site, shrouded in controversy and still unfinished—and public projects include an Olympic sports complex in Athens and an extension for the Milwaukee Art Museum. Many of his designs, like the recently opened Margaret Hunt Hill Bridge in Dallas, Texas, look as if someone took a pencil and swept it across the sky. But he does not design dreamlike structures only from an aesthetic point of view. 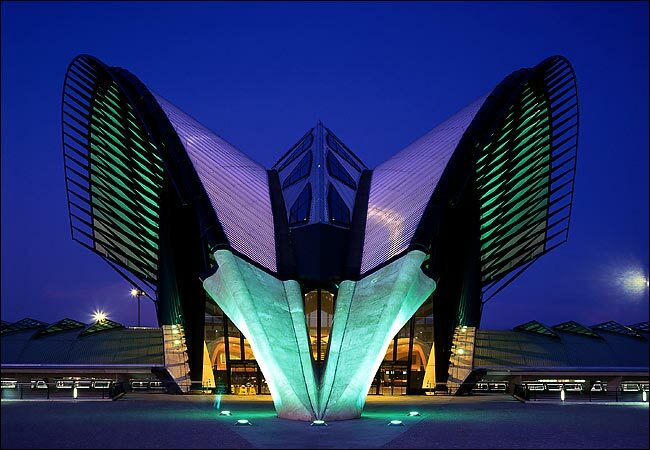 Calatrava earned his PhD in civil engineering from the Federal Institute of Technology in Zurich. He knows not only how to design, but how to build. Although the Spanish architect is known for his sculpturesque bridges and buildings, only this past spring, in 2012, did he complete his first vehicular bridge in the United States. 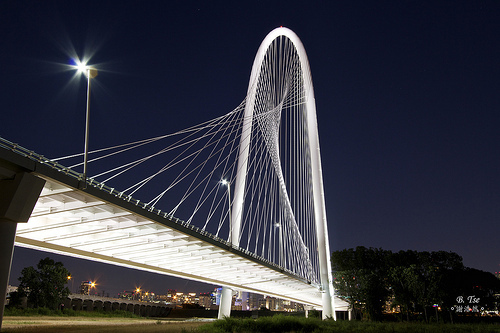 The Margaret Hunt Hill Bridge is part of an urban revitalization project that connects the east and west sides of Dallas over the Trinity River. A tall white arch is supported by thin cables, framing one side of the city to the other, and lending an iconic form over the water. 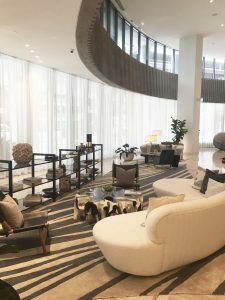 Calatrava wanted to draw positive attention to the neglected river; he believed it could be transformed into a gathering space akin to New York’s Central Park. While a bridge may not equate to Central Park, the designer’s work certainly has brought attention to the area. A food company that owns thirteen acres of land near the base of the bridge is planning to help entrepreneurs launch new restaurants there—just the start of new investments for the now widely recognized area. 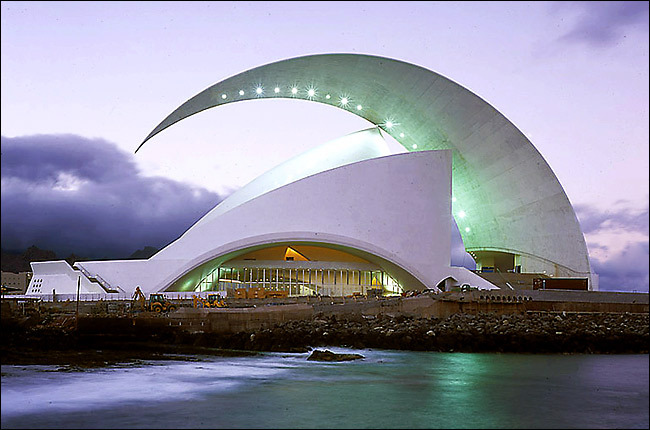 Calatrava studied architecture from 1969 to 1974 at the Superior Technical School of Architecture in Valencia, Spain (near where he was born), and then took a postgraduate course in urbanism. 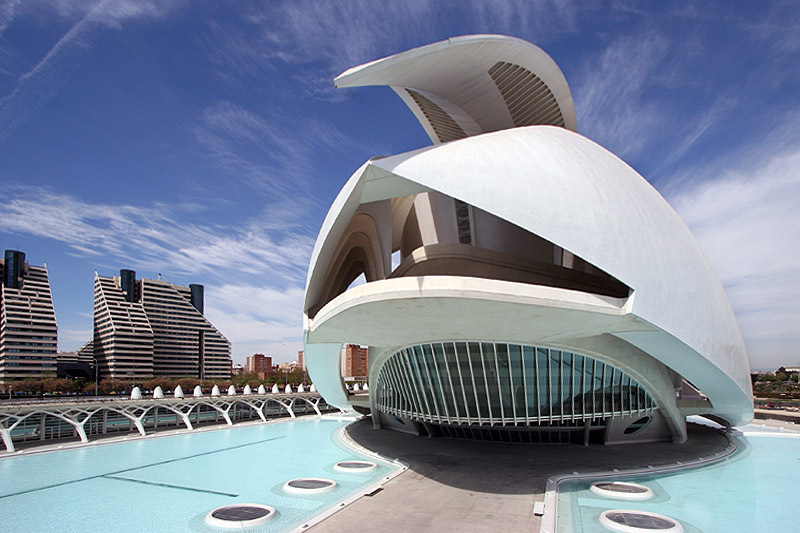 After earning his PhD, Calatrava opened architecture and engineering practices in Zurich (1981) and Paris (1989), followed by offices in Valencia (1991) and New York (1994). Calatrava has won numerous awards, including a 1992 London Institution of Structural Engineers Gold Medal, a 1999 Prince of Asturias Award in Arts an AIA Gold Medal in 2005, a 2007 Spanish National Architecture Award, a 2009 European Steel Design Award, and countless others. The World Trade Center transportation hub, however, is probably his most controversial project to date. The grandiose structure, dubbed the “Bird,” serves as a port for New Jersey commuters. But like the Bird’s upward-facing lines, the price, too, keeps soaring. It began at $2.2 billion, latest estimates come to $3.8 billion, and critics have taken notice. 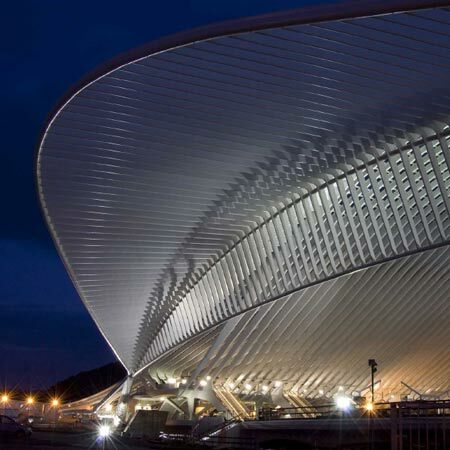 They have called Calatrava, and his design, self-interested, egotistical, and wasteful. Calatrava has made design compromises, scaling back his requests for marble, an open roof, and a column-free mezzanine, but emotions and politics are running high. There are still hopes, though perhaps slim, that the authorities funding the project, including the Federal Transit Administration, can make ends meet, and with minimal additional design compromises. But until then, it is likely Calatrava’s name will be heard more for his extraordinary expenses than it will for his extraordinary built projects.